Special thanks to Mirak Chevrolet for loaning me the Bolt to give test drives. Good variety of EVs from VW to Tesla. 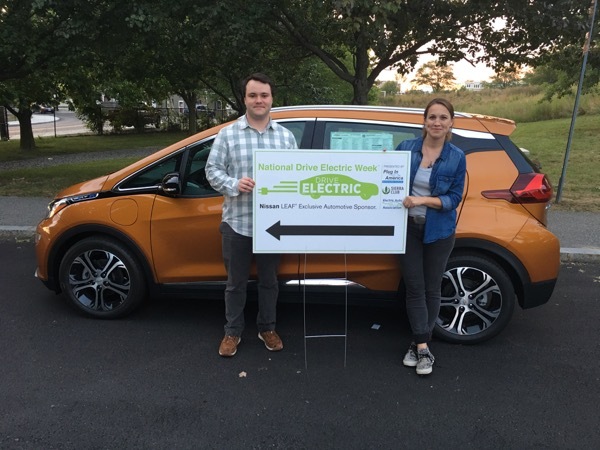 The New England Electric Auto Association will be hosting an EV/PHEV ride and drive event at Danehy Park. Several dealers along with EV/PHEV owners will be present to share ownership experiences and offer test drives. This is a great opportunity to test out an electric vehicle without the typical dealership setting of possibly being pressured to buy. Refreshments will be served. For more information about NEEAA, go to www.neeaa.org and click the Facebook link. Registered attendees report 209,959 electric miles driven.